Metorik offers an integration with the official WooCommerce Cost of Goods plugin. If you already have it set up, the integration is seamless and automatic. If you don't yet have it set up, simply install the plugin, configure the COGS for all your products, and Metorik will integrate automatically (contact us if it's taking a while for the profit report/data to show up). It's important that you follow the WooCommerce Cost of Goods plugin setup instructions found here. If you're setting up the plugin after already setting up Metorik, make sure you run the Apply Costs to Previous Orders tool in WooCommerce and then contact us so we can sync your previous order costs. From the dashboard and navigation you'll find the Profit Report. 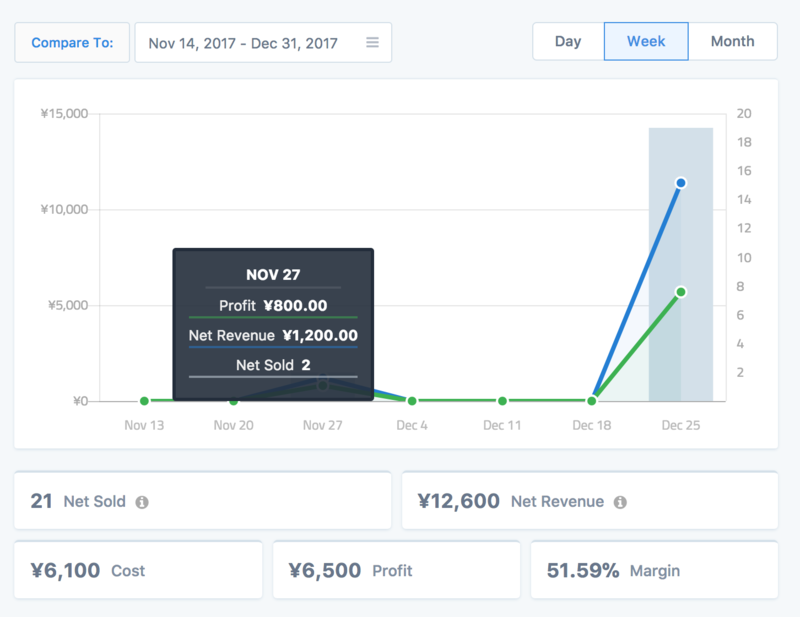 It lets you see profit over time for a given period, as well as the net revenue, total cost of goods, and margin, alongside the growth for each one. You can also see the average profit per order. Orders with the refunded status, along with all other statuses excluded from your reports based on your store settings (usually failed, cancelled, and pending), will be ignored and excluded from this report, so you're only looking at stats for successful, non-refunded orders. 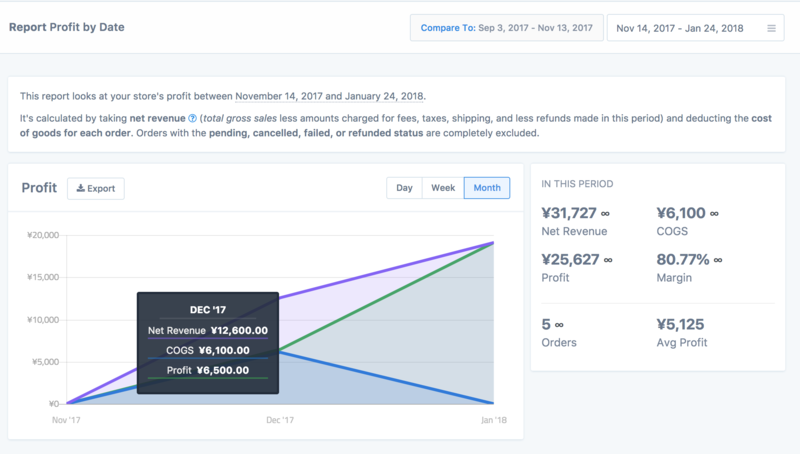 You'll also find a profit breakdown table beneath the chart, letting you see the # of orders, net revenue, COGS, profit, and margin for each period of time. It will be split up into the same 'date groups' as your chart. You can change the date group on the top right of the chart. The data from this report can also be exported into a CSV, that will have the same format/layout as the profit breakdown table. You can order the table by the COGS and profit. Additionally, the COGS & Profit will be included in all product/variation/category exports. Most multi-currency solutions for WooCommerce do not support Cost of Goods, so our support is in-turn quite limited. But as long as you set the cost in your main currency, reports should be pretty accurate and useful as we don't convert it to any other currency. Note: While the integration currently requires the WooCommerce Cost of Goods plugin, we will likely add our own Cost of Goods functionality directly to Metorik in the future. Let us know on the live chat if this is something you'd like to see.